Contest Directions: The Duke and Duchess of Sussex yesterday revealed their Christmas card, a black and white photograph of them watching fireworks with their backs to the camera. Meghan Markle’s sister, Samantha Markle claims her sister’s Christmas card shows she is turning her back on her family adding: “It’s incredibly rude to turn your back in a Christmas photo that is meant to share warmth and good wishes with the world. 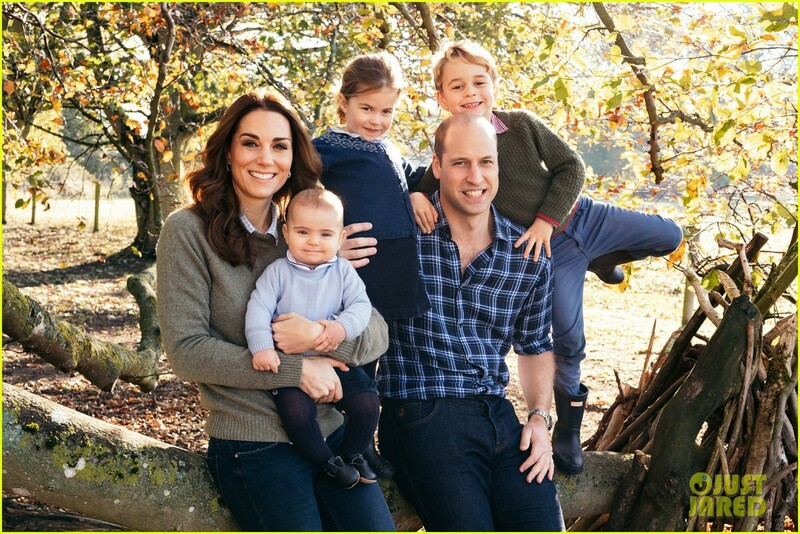 In complete contrast, the Duke and Duchess of Cambridge wear jeans and smile at the camera as their children lark about in the picture for their Christmas card. He makes one "CREEPY" Santa, Good one , Congrats on your win. George Soros is the Financial Times’ “Person of the Year. You too boss. Congrads on the Gold. Thanks Bob and thanks Hobbit, I agree he's major creepy and the Dems personal Santa as their major donnor. The Dem's sure do love their Santa and he's their Easter bunny too. ReggieRey, you have a Wonderful Christmas. Congrats on the Win Reggie! A much improved look for Soros. Thanks a bunch Ms. Hobbit! Hmm... the Easter Bunny and Soros, great idea! A Merry Christmas to you and a Happy New Years! Thanks PS, appreciate the grats! I Look forward to seeing more of your fantastic always entertaining chops! Congrats on your win, I can see Bernie doing this, Good One! Thanks and Merry happy Holidays to all my friends at FN. Merry Christmas Tim, pray you have a beautiful one! A great pick for Santa with his free college and what not! Hilarious, feelin the Rumple Minze Bern!!! Awesome Silver Congrats Hits! Super Xmas Card! Congrats on the Silver, Hits! Give Trump The Wall For Christmas, Stop Blocking The Wall! Always fun to see your creations, liked this alot. Beautifully done Hobbit and great message (Build That Wall) Love the atmosphere, Congrats on the Cup!!! Thanks, HoHouse, Tim and ReggieRey, Merry Christmas to all. Congrats on your win, very nice pic, I feel for Trump, he gets kicked down to much!!!! Agree with Hits, next level and a fantastic build!! Congrats on a winner!! Great image, love the exploding glass special effects of The Rock punching out a Christmas ornament!!! It'll be JELLO for dessert with Christmas dinner this year. Hands should match face color, good one tho. Pro work, was my Favorite in contest, but I didn't vote and the last I did cost me 4th, ended 6th like you, but Congrads on very fine work. Yeah, this was a top pick I thought yet sometimes voting goes all fickle. It is a great idea to chop cosby, wish I thought of it. Happy Holidays, LC! Top notch realistic and outstanding as always, nicely done LC !! !